When you think about beekeeping, an idyllic countryside setting often comes to mind. But, high above the hustle and bustle of Bermondsey Street, London there’s an altogether different kind of buzz. Stockbroker and hobbyist beekeeper Dale Gibson started beekeeping in 2007 and soon after opened an apiary (a collection of beehives) on his South London rooftop. With its iconic view and unusual location in the shadow of the Shard, it soon became the basis for an award-winning business. We spoke to Dale to find out more. Can you tell us a bit about yourself and your background before you got into beekeeping? I am a first-generation beekeeper. For many, beekeeping is ‘in the family’, but I found my way there by a much more circuitous route. After my degree I went into the City, spending many years as a stockbroker. Strangely enough, as a stockbroker, I always kept farmers’ hours, rising early and running to work to be at my desk at 7am. That’s not bad training for a professional beekeeper: you have to be physically very fit, extremely disciplined and you have to plan ahead. What inspired you to get into such an unusual career? I started keeping bees in 2007 after being fascinated watching a bee on a damson blossom at my allotment. My next step was a year’s solid training with my local beekeeping association before getting a hive of my own (the first of many!). I found that my fourth-floor urban rooftop in London was an ideal location for our small apiary. Gradually, my hobby became more compelling and larger scale. I added an apiary at our house on the Suffolk Coast in 2012 and quickly recognised that urban and rural beekeeping require different skill-sets – and how unusual it is to find beekeepers who are expert in both environments. By 2014, I had started a specialist apicultural consultancy business, designing, installing and operating apiaries for clients such as the Michelin-starred chef Tom Aikens, who had a vision of ecologically sustainable food – with their own bees central to that proposition. 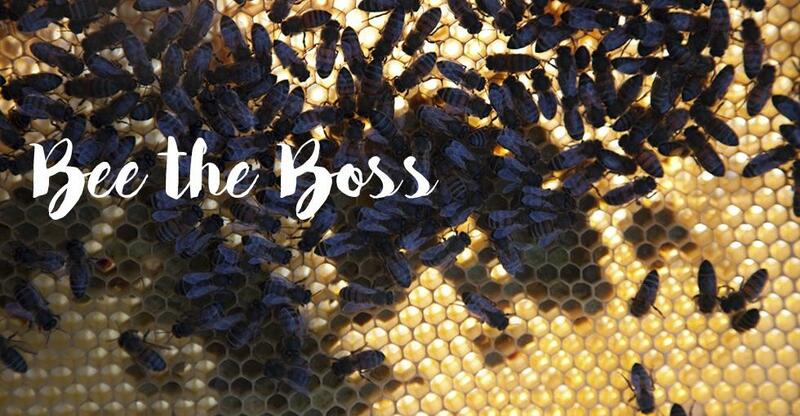 Since then, we have gained an impressive list of private and corporate clients, whether as their apiary operator, beekeeping mentor or artisan honey supplier. Installing hives in public areas involves a very specific combination of beekeeping skills and the management skills which I gained over many years in the City. Apart from the beekeeping itself, there are important health and safety considerations and a great deal of logistics and paperwork needed to make it successful. But always, my inspiration is the bees themselves. These gentle, industrious creatures, with a history many millions of years longer than the human race, produce honey as a raw, genuinely slow food. The honey you eat today tastes the same as the very first honey consumed by mankind. It is the original luxury item: healthy, nutritious and delicious. How many hives do you have and how many hours a week does it take to maintain them? Currently I manage 50 hives in many different locations – from those on my Bermondsey rooftop to those in the garden of Lambeth Palace and those on a Cotswold hillside. I also have some private clients. I remember well that, when I started beekeeping, I had read that “10 minutes, per hive, per week” was the recommended time-span for inspecting bee colonies and I confidently passed this information on to my wife. I have since learnt that the bees don’t read the same books that we do. Each hive inspection takes as long – or as little – as it needs to. And I have a very patient wife. How does beekeeping vary depending on the season and what do you do in the winter months? The bees are attuned to the seasons. In winter, they shelter in their hives, clustered together for warmth. In spring, they start to make more bees, growing the brood-nest and foraging for food to nourish their young. In summer, the hives are full and busy, with honey stores building up on the hives. And in the autumn the hives slow down and we take off the honey surplus, leaving behind a large quantity of honey for the bees as we harvest the honey crop. There are very few winter tasks, mostly to do with pest management (varroa mites in the hive; wax-moth in the stored frames of comb; and even mice attempting to find a warm hive full of honey to spend the winter months in). Mending equipment and planning the next year’s activity keeps me busy and I can also devote more time to writing my Apis blog on our website. What advice would you give to anyone considering becoming a beekeeper? There is a huge gulf between hobby beekeeping and commercial beekeeping. We know, since we are currently straddling it! And it will always be a passion and a vocation rather than a really lucrative business. But for all beekeepers, the key is gaining knowledge and then turning that knowledge into understanding. I always tell aspiring beekeepers that the enjoyment they will attain from the craft of beekeeping is directly proportionate to their knowledge and understanding of the bees. My advice to beekeepers who wish to build a business is to decide which beekeeping activities and skill-sets you will be focusing on, for example: honey production, for retail or bulk sales; pollination services to farmers; breeding queen bees and selling nucleus colonies; cosmetics, candles and hive products; building hives and equipment; concierge-style beekeeping of other people’s hives. As members of the Bee Farmers’ Association, we have yet to find any two professional beekeepers who use remotely the same business model!